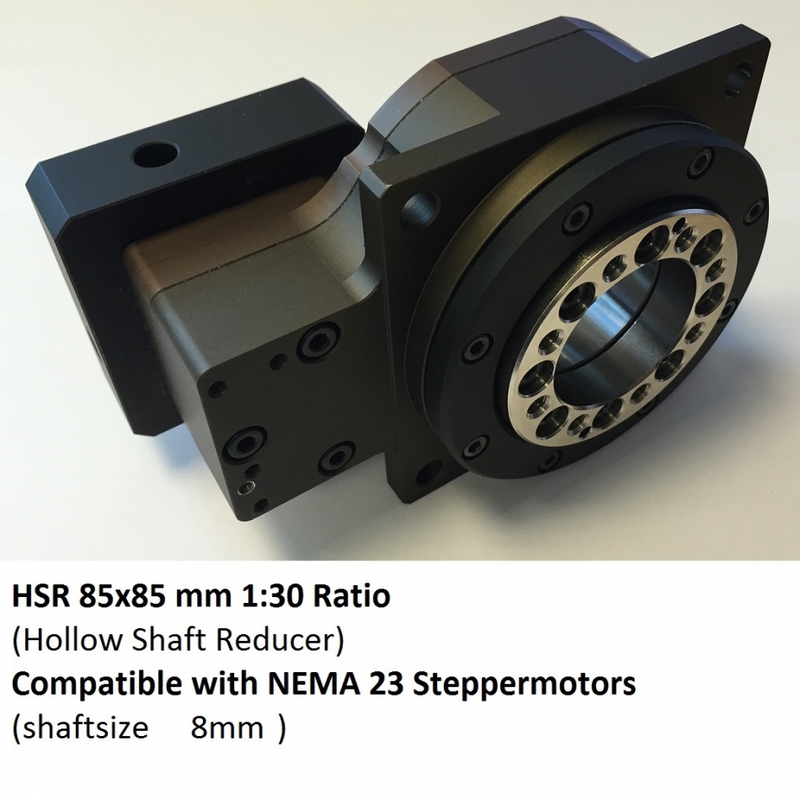 DCNC-HSR-F85-N23B8-I30 Hollow Shaft Reducer 1:30 NEMA23 | DamenCNC B.V. The hollow-shaft helical gearbox enables a compact reducer giving an output torque associated with longer motor/planetary gearbox designs. So the motor and the gearbox can now fit into spaces where a normal gearbox does not fit. 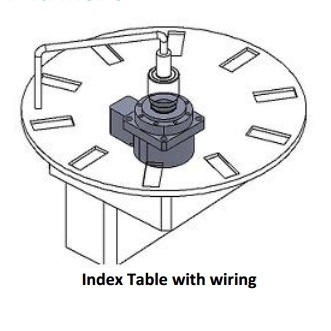 The large hollow shaft allows cables to go through, perfect for an A,B or C axis, or an indexing table. When using it as a 4th axis, it allows pipe material to fit through. 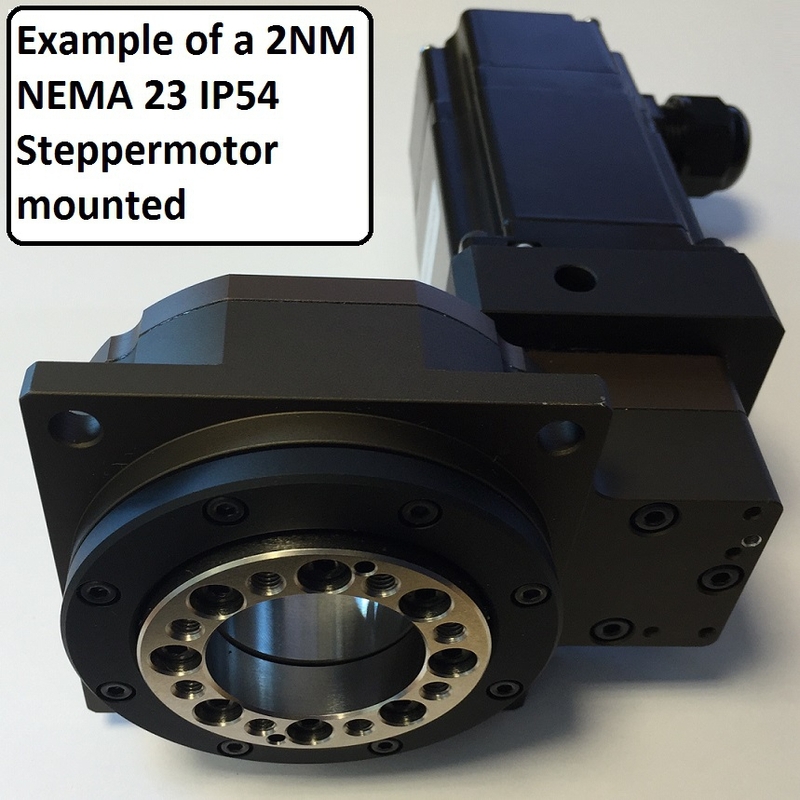 The gearboxes can be fitted with NEMA 23 StepperMotor or Closed Loop StepperMotor. 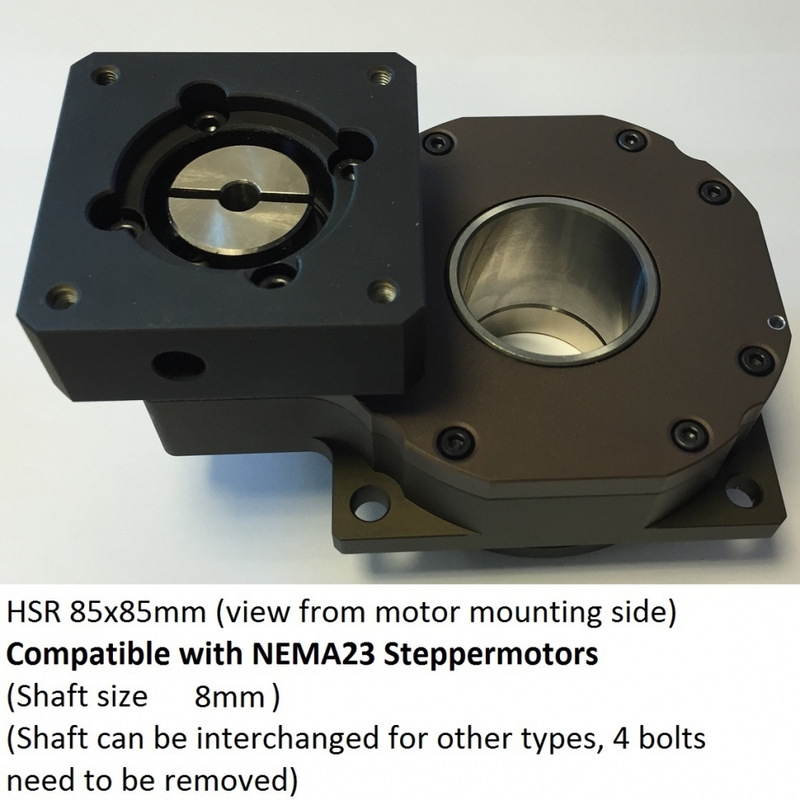 The input shaft is 8.00mm, which is standard on a NEMA 23 motors. 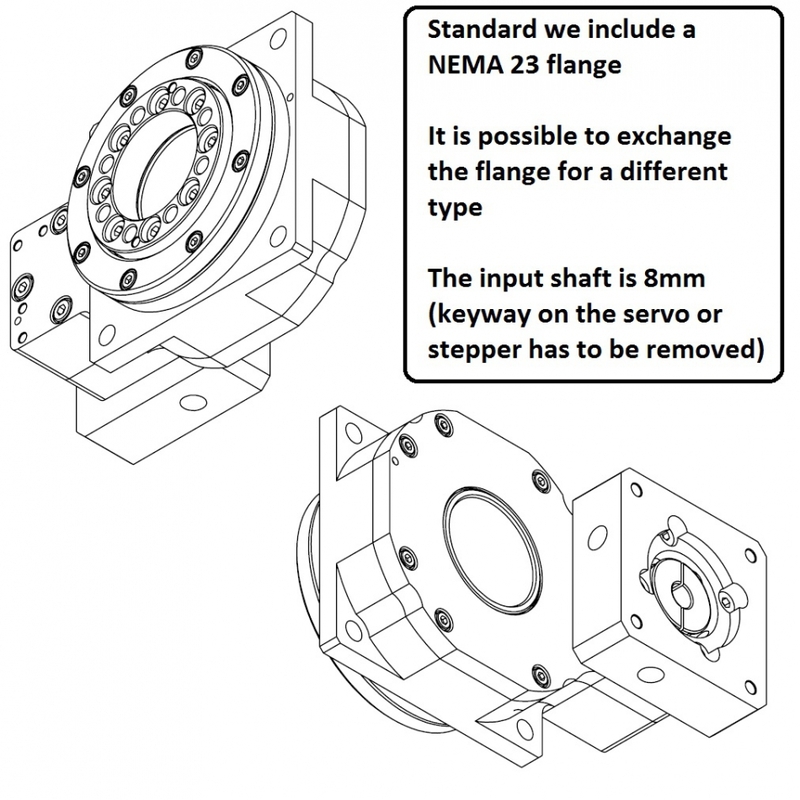 It's possible to remove the flange and replace it for example when you have NEMA 24 or other motors. 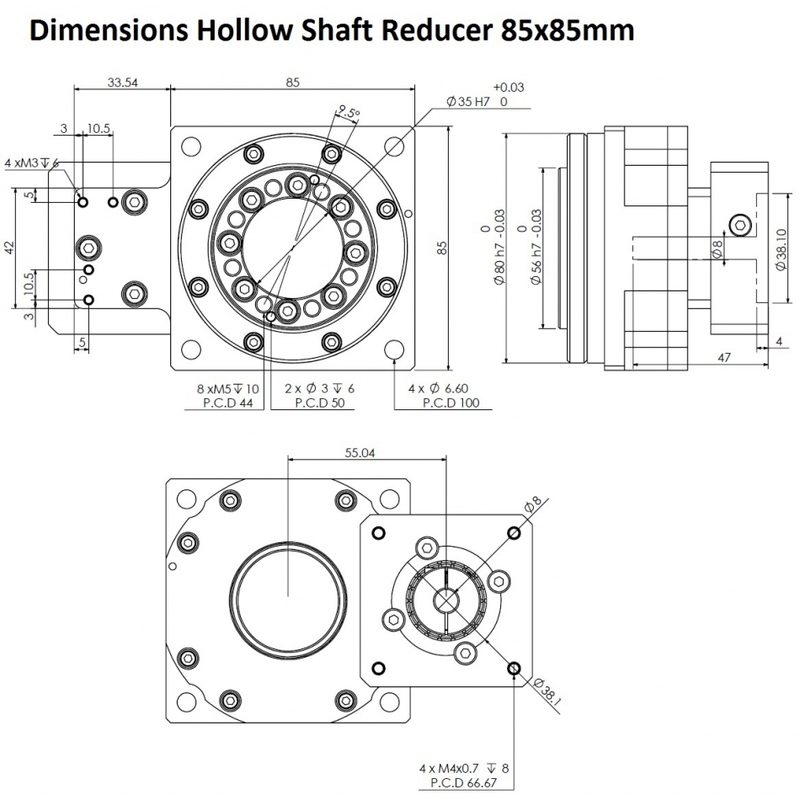 The hollow shaft reducer is perfect for applications, with high inertial loads being positioned with high accuracy and speed using a integrated cross roller bearing. The cross roller bearing also allows high axial loads to be present on the bearings. This can simplify your design, since you no longer need to add your own thrust bearings. 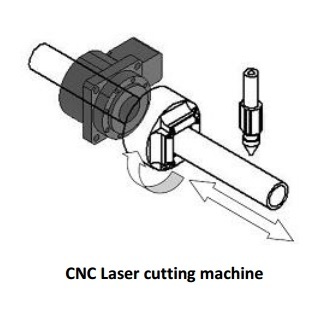 The low backlash of 30 arc-seconds or less is perfect for critical CNC applications. Also the stiffness is much higher, when compared to a belt driven system. 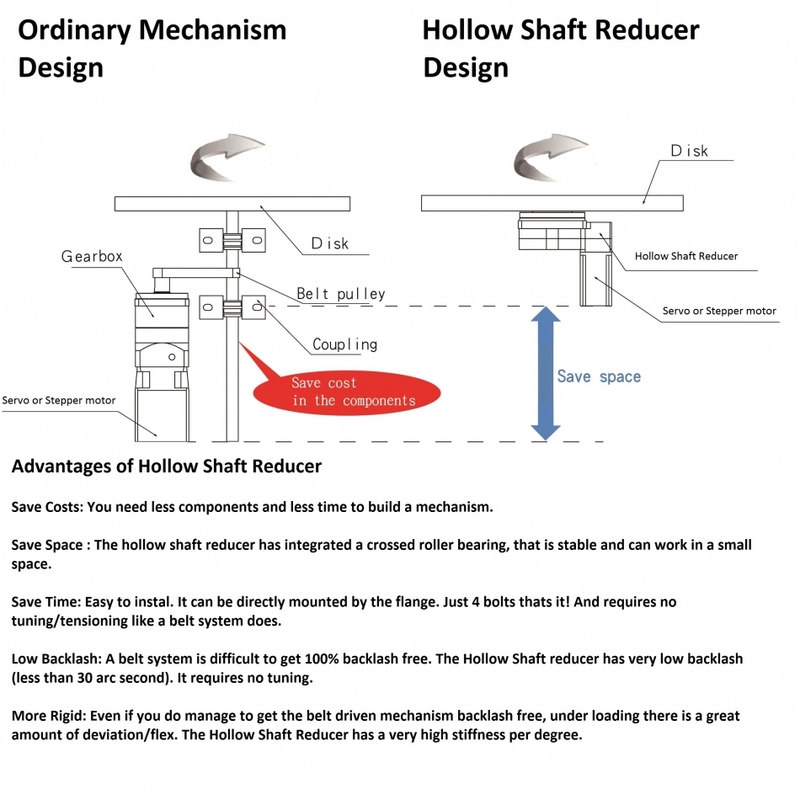 Higher reduction ratios can be achieved by using together with planetary gearbox or right angle gearboxes. Features & benefits: NT Hollow-shaft Helical Gearbox: High precision Low backlash High Stifness/Rigidity (required for a B or C axis) Large hollow rotary platform Accurate and stable / fast position in inertia load (Cross roller bearing) Direct fit and space saving: no belt pulley nor coupling needed, compared to ordinary mechanism design Typical applications include indexing tables, laser cutting machines etc.